As you may know, I recently chopped a fair few inches off my hair and have found myself, not missing my long locks but envying other girls with gorgeously healthy long hair. 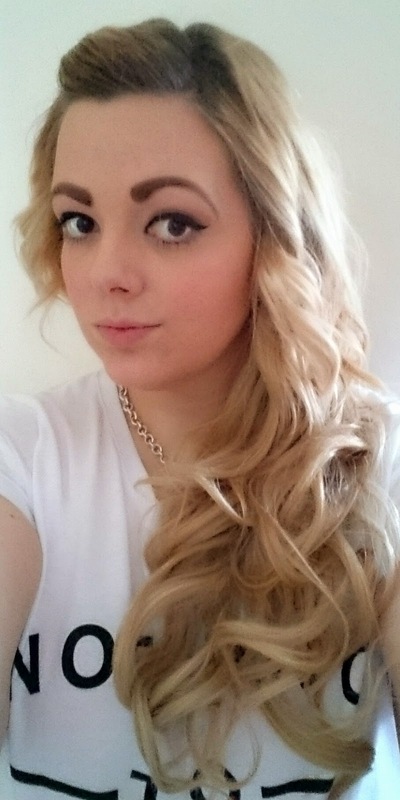 So when I was offered the chance to work with Dolled Up Hair Extensions I obviously jumped at the chance! 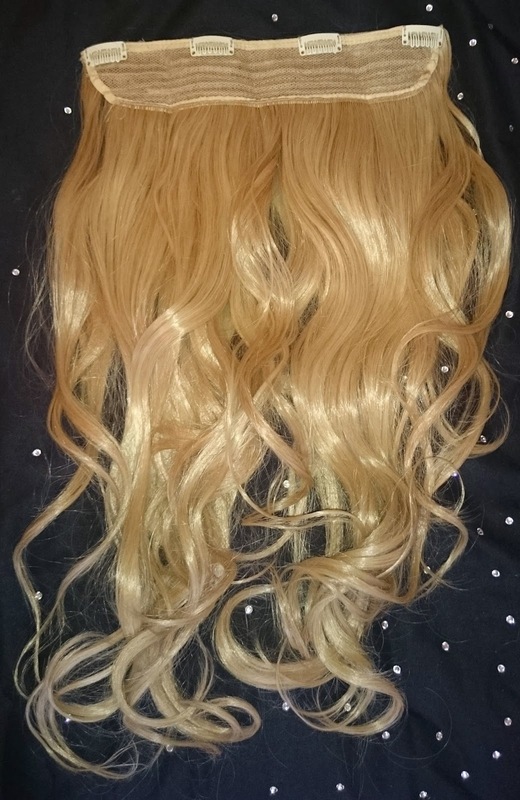 I was sent half head clip in extensions in the shade 613/18 to give a go and review. I'm a bit of a hair extensions fanatic and this isn't my first time with clip ins, although I do normally opt for the straight version. 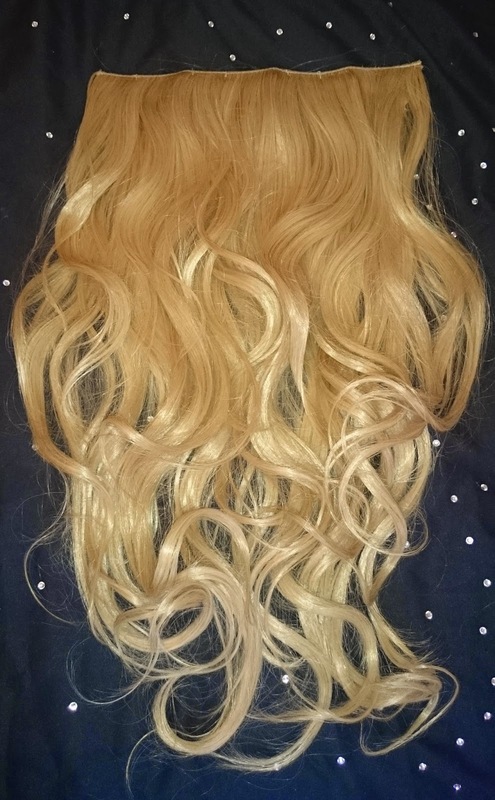 I have to admit I was a bit apprehensive about them being synthetic, I've always found synthetic extensions to look very fake and be very shiney. I was very happily surprised! They were as I expected far, far shinier than my own bleached hair is but a bit of dry shampoo later and I'd dulled them down so they match quite well. 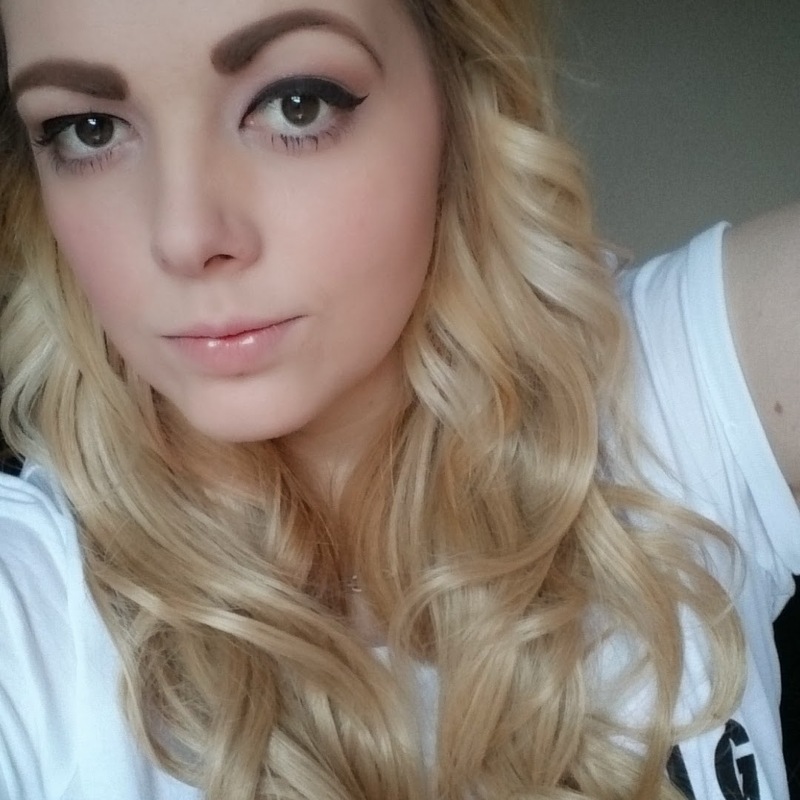 So what are clip in extensions? Exactly what it says on the tin. Hair extensions that simply clip in. 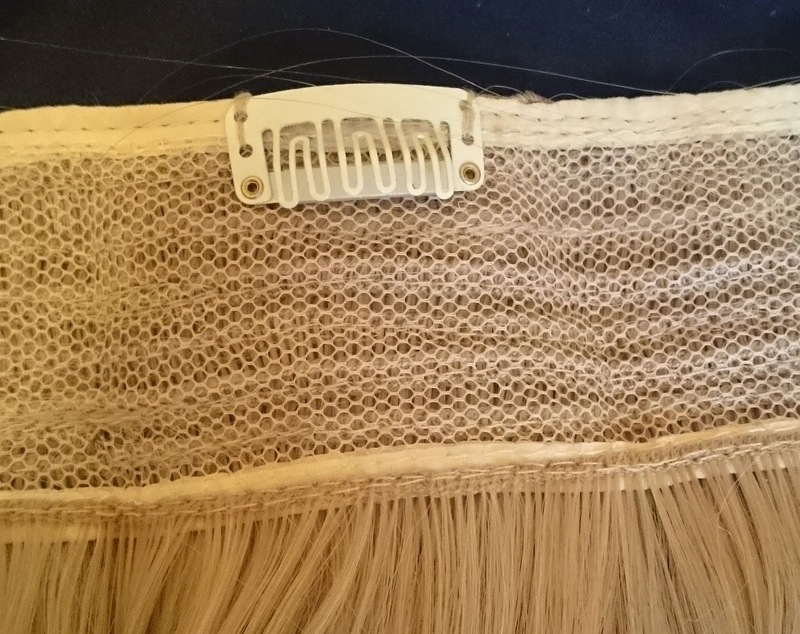 Unlike glue in wefts, these come with small same colored clips that simply 'pop' open and shut. You slide them into your hair and close and that's it. Instant long locks without the hassle. Unlike full head clip in extensions, this half head is one large weft that is meant to make your hair look thicker as well as longer. It might not be as suitable for those with super short hair as the 'clip in' section is a lot wider than the full head clip ins. I did wonder if these were going to be super heavy and pull on my hair and again, I was very pleasantly surprised. They were a lot lighter than I expected them to be and went in with no issues what so ever. Another thing I was surprised about was that they can be heat styled. I've had synthetics before that would melt into a gooey messy if they even caught sight of a hairdryer, so knowing that I can re-curl these beauties if I need to is a big plus. They are also super easy to look after, you can brush them like your own hair. Wash them with shampoo and then leave to dry hanging up. Sorted. Overall I'm really impressed with these. They look lovely, are super easy to wear and they give me the length I'm looking for. I'm really excited to see what Dolled Up have planned for the future! Wow, they really do look good in your hair. Me being no expert on hair extensions, and never used them myself, I would have thought from these photos it was your natural hair. Well done dolled up! I have never tried hair extensions. These look fab! Wow these look amazing! I've been playing with the idea of getting some extensions and these look amazing, very natural, so I'll have to have a look! These look great and so natural! I wouldn't have thought that they were extensions. I've been wanting to try some myself, but have been worried about them looking fake, I'll have to have a look into these! These look awesome and look natural with your own hair!